Sweet Fennel Essential Oil is steam distilled from the seeds of Sweet Fennel (Foeniculum vulgare), and has a sweet, anise-like scent. This oil is useful in aromatherapy for its stimulating, revitalizing, and balancing characteristics. According to Gabrial Mojay, Sweet Fennel oil can be helpful for individuals who tend to overthink and over analyze, but find it difficult to articulate and express ideas and feelings. 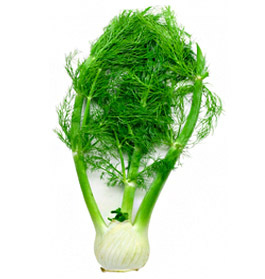 Sweet Fennel Essential Oil can be used in skin care for toning and balancing. However, Fennel Essential Oil should not be used on damaged skin and should be used in moderation. Avoid use on children less than 2, while pregnant or breast-feeding. Sweet Fennel Essential Oil is typically used less than 1% in blends with other essential oils. Fennel Essential Oil blends well with Palmarosa, Geranium, Elemi, Clary Sage, Coriander.